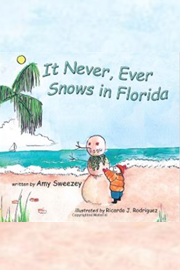 AJ lives in Florida where it never, ever snows. He dreams of a day when he can build a snowman, or wear warm boots in the winter like other kids. AJ soon learns he can’t say “never” when it comes to weather. Just because he hasn’t seen any, doesn’t mean it never snows in Florida.